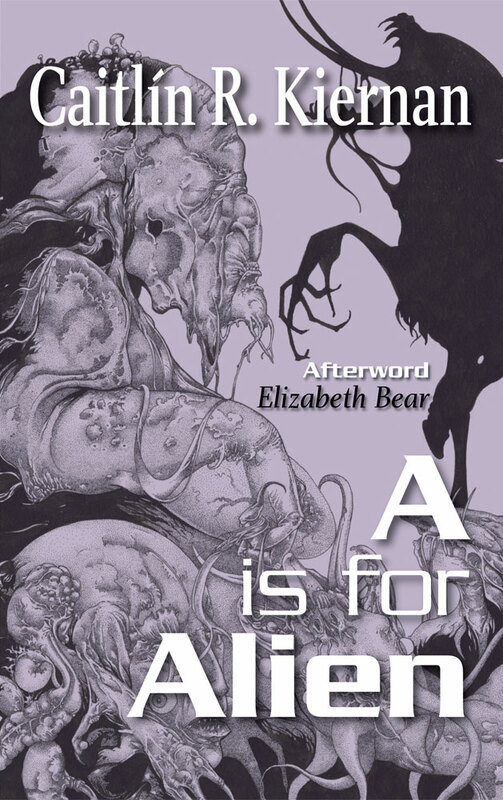 I just noticed that PS Publishing in the UK has listed Caitlin R. Kiernan’s A is for Alien in their Forthcoming Books section. 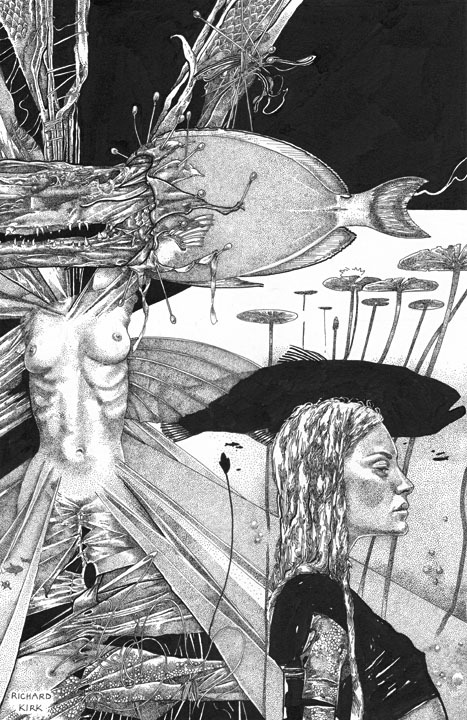 The cover design incorporates one of my drawings. 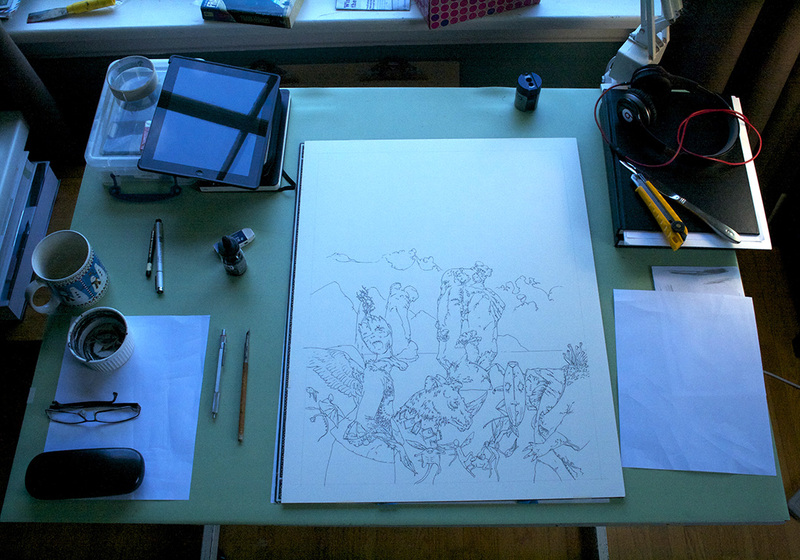 This is a picture of my drawing table this afternoon. It’s a cloudy day, hence the bluish light. You are seeing the early stages of a new drawing that doesn’t even have a title yet, though I am leaning toward “The Curious Voyage” The working title will make more sense when the last major element is dropped in. So far I have penciled the composition and gone over everything with a dip pen and ink. I am preferring the nibs to technical pens at the moment because of the line strength and the variation you can get from adding pressure. The next step will be shading with diluted inks and brush. Anyway, I hope you enjoy this early peek. I am happy to report that PS Publishing in the UK will be re-issuing several Caitlin R. Kiernan titles Tales of Pain and Wonder; To Charles Fort, With Love; A is for Alien; and The Ammonite Violin and Others. 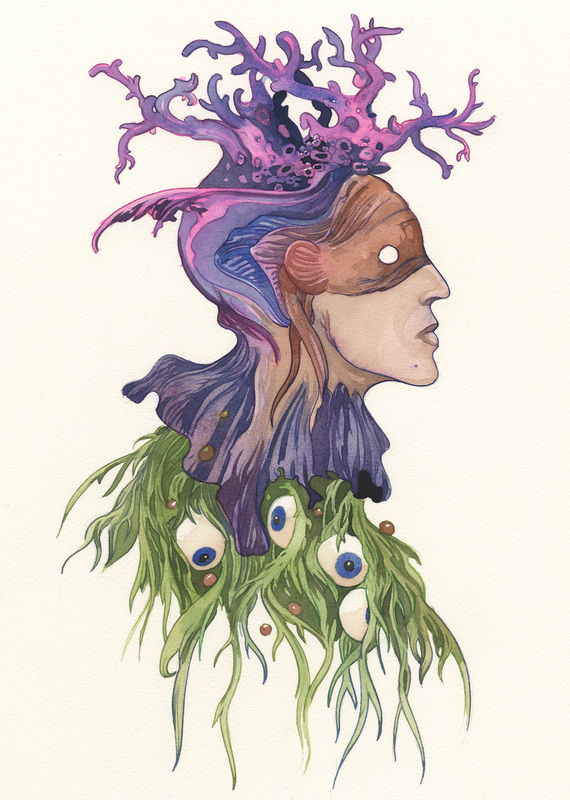 Some of the illustrations I created for Caitlin’s books will be used for these re-issues. For fun, here is one of my favorites, although I have no idea if it will be picked. A book I am really enjoying at the moment is Anthony Doerr’s All the Light We Cannot See (thanks Elizabeth!) This morning I came across this sentence. “Open your eyes, concludes the man, and see what you can with them before they close forever.” Haunting, beautiful words.